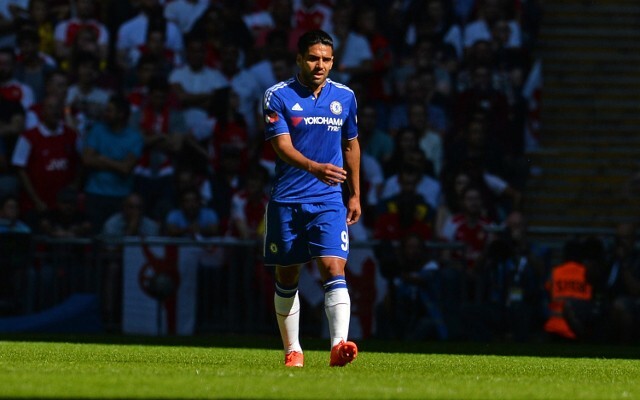 According to reports, Radamel Falcao has been informed that Chelsea will not be extending his stay at Stamford Bridge. The Colombian forward—once one of the most menacing hitmen in the world game—has endured a testing season in West London, and it will perhaps come as no surprise that he’s set to move on at the end of the campaign. According to the Mirror, Falcao—who is on loan from AS Monaco—has been informed that he has no future with the Pensioners, but may have a shot at redemption with AS Roma, with the tabloid noting that the Italian giants are keen on his services. The report also adds that Falcao had been hopeful that incoming Blues boss Antoinio Conte would have given him a chance to impress in west London, but his wishes appear to be in vain. The South American has struggled with a loss of form and with injury concerns in West London—following on from his miserable campaign on loan at Manchester United last season—and has scored just one goal under both Jose Mourinho and Guus Hiddink.